Wow, back to reality after an unbelievable weekend. I hope you and yours were able to enjoy it to the fullest. There wasn’t a rental unit available anywhere in the Deep Creek Lake area this weekend! 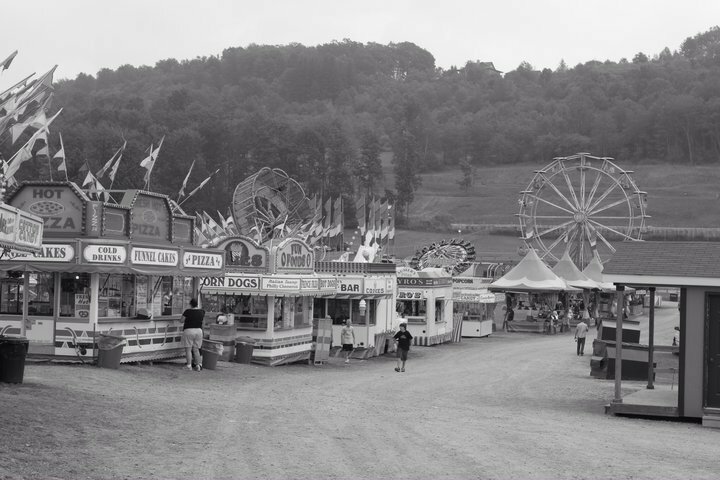 Here’s a timeless picture that my brother took at the fair in 2010. As for real estate, the numbers continue to improve but there are still amazing deals out there to be had. Opportunity knocks. Tell a friend. 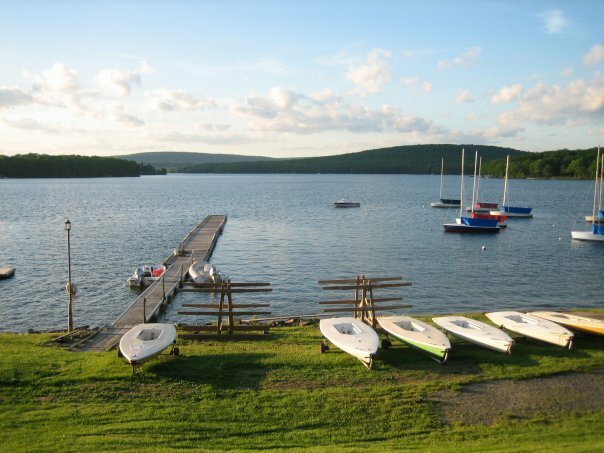 Well it won’t be long now until the Deep Creek Lake area is filled with squeals of delight and buzzing with the sights and sounds of outdoor recreation. Summertime is our biggest tourism season, of course, and with new adventures and amenities being added all the time, we’re home for all types from the extreme to the serene. This weekend Adventure Sports Center International on top of Wisp Mountain is host to the annual All American Whitewater Festival again. This event is both exciting and inspiring. Well worth checking out. Be sure to like my Facebook page Deep Creek Lake Home to keep up with all the local happenings, photos and news as well. Share with friends and family. Here’s a picture a member posted awhile back. Do you know where this peaceful photo was taken? The real estate market is really starting to cook for correctly priced properties. Have a great week and remember, opportunity is knocking! Tolliver Falls at Swallow Falls State Park. I hope you had a wonderful Mothers’ Day weekend! 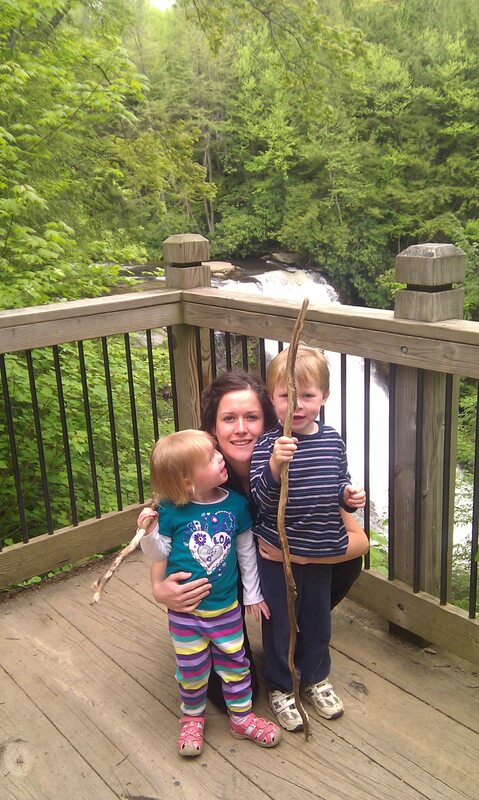 I took my wife and kids to Swallow Falls State Park for a hike. There are very few places as enchanting as Swallow Falls in the Deep Creek Lake and Garrett County area. On your next visit, be sure to seek out Tolliver Falls at the park, it’s off the beaten trail and magical. “Dancing with the Local Stars” takes place this Friday at 6:30pm at the Lodge at Wisp Resort. This wonderful night will be full of dancing and laughter. Proceeds go to help support an amazing local project called “Dancing Classrooms of the Alleghenies.” For tickets and info call 301.387.7585. Another weekend happening on Saturday is the Wisp Community Yard Sale in the parking lot of the resort. This is a great event to find amazing deals on all kinds of things. See you there! As for the Deep Creek Lake real estate market, the deals continue to be snapped up. Be sure to contact me for your custom reports, properties, etc. Please pass my info on to an interested friend as well. Thanks! Railey Realty is pleased to announce that salesperson Andrew Eiswert has joined their real estate company. Andrew has been a Maryland licensed Realtor since 2002 and brings over 10 years of real estate sales experience primarily serving Deep Creek Lake and Garrett County. 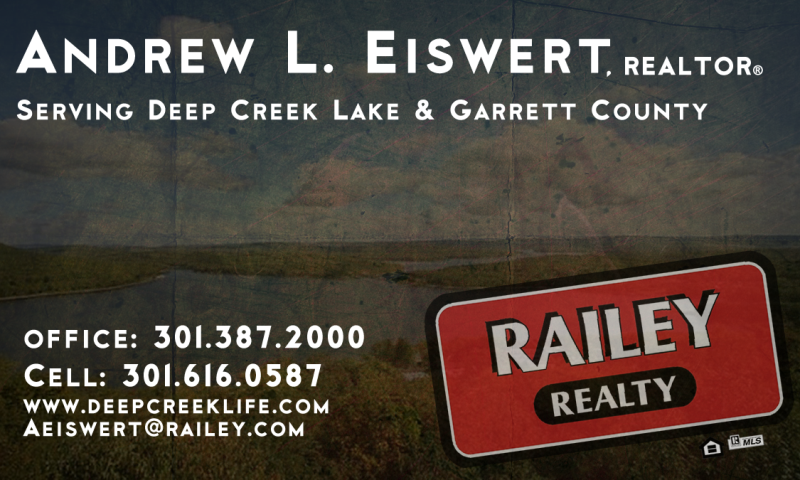 Railey Realty is a locally owned real estate company specializing in the sales of homes and land in the Deep Creek Lake and Garrett County market. Andrew is a lifelong resident of Oakland, Maryland and is the son of longtime Oakland area attorney and current District Court Judge Leonard Eiswert and Kathy Eiswert. After graduating from Southern High School in 1993, Andrew attended Mary Immaculate College of Limerick, Ireland and Frostburg State University where he obtained his Bachelor’s degree in English Literature with a minor in writing. Andrew lives in Oakland with his wife Jennifer and two children – Sean and Maeve – along with their chocolate lab and cat. In his spare time Andrew enjoys spending time with his family, fishing, golfing, and snow skiing. They are members of St. Peter’s Catholic Church. 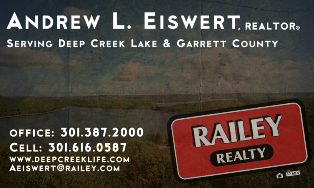 Please feel free to contact Andrew Eiswert at (301) 387-2000 or Aeiswert@railey.com for all your real estate needs. Greetings! Happy Valentine’s Day! We received around 12 inches of fresh powder this weekend and the skiing has been excellent. I hope you’ve been able to enjoy the winter so far. Spring is around the corner. This holiday weekend will be busy up here in the mountains so if you don’t already have your own place here or haven’t booked a rental well in advance, you may find it very challenging to find anything open now. If you’re going to be in the area this weekend and enjoy a glass of wine or two, stop by the McHenry Beverage Shoppe (George’s) on Saturday afternoon for a wine tasting with a lovely Irish lass. (My wife Jenny 🙂 ) She has excellent small production wines from all over the world. As for real estate, the market is moving along with incredible deals being snatched up. One of my clients that made an offer today had a pre-qualify letter for a 30 year at 3.875% !!! Amazing! There are currently 57 properties under contract at the moment which is much stronger for this time of year when compared to the 5 year average. Don’t forget, the 14th annual Deep Creek Dunk is coming on February 25th. Please help support the Special Olympics and have a blast doing it! Have a great week and I’ll see you in the mountains! NOTE: As a member of our local Board of Realtors, I am able to show you ALL available listings regardless of the broker representing the listing. Oh, by the way… if you or any of your friends or family are thinking of buying or selling real estate in this area, please give me a call with their name and address and I’ll follow up with them. I assure you that I will take great care of them.